This summer, the Major League Lacrosse All-Star Game will be held at Harvard Stadium on June 28, 2018! The MLL All-Stars will be playing against the stars of Team USA from the FIL World Games. The last time the MLL and Team USA met at Harvard Stadium was in 2010, with other All-Star Game matchups being held at Harvard in 2007, 2011, and 2014. Don't miss out on another historic game! *Prices to go up at the Stadium Box Office on game day. GROUP PRICING IS AVAILABLE FOR GROUPS OF 20 OR MORE. Interested in discounted tickets? Cannons Season Ticket Members can purchase discounted All-Star Game tickets through their account rep. For more information on Cannons Season Ticket Memberships, click HERE. The Boston Cannons are also offering a CANNONS COMBO PACK. With this combo pack, select your Cannons game and get your All-Star game tickets at the same time! Each pack comes with one ticket to your selected Cannons game, and one ticket to the All-Star Game. Following your purchase, a Cannons account rep will confirm with you your purchase and assist you with seating. 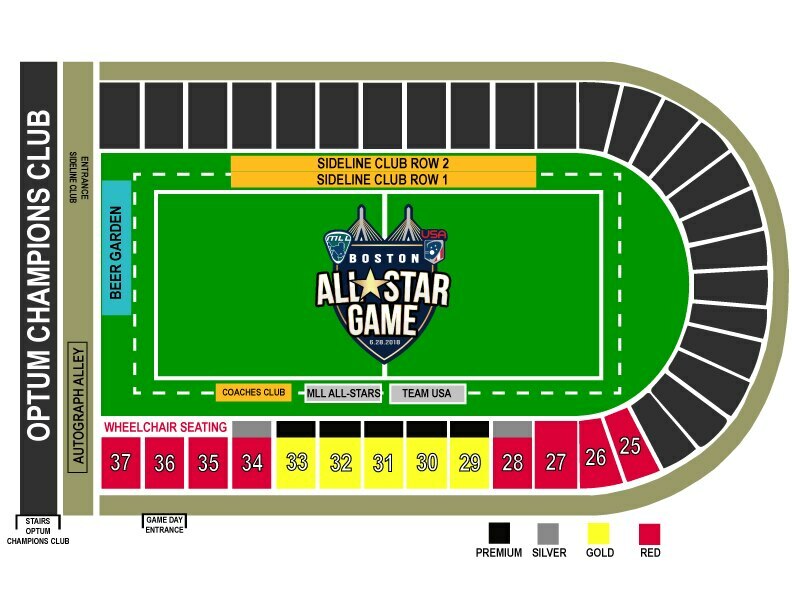 Please Note: For Cannons games held at Harvard Stadium (May 5th, May 12th, July 28th, August 4th) your seating category will be the same for both the Cannons game and the All-Star Game. For "Cannons in Your Community" games held at Hingham High School (May 19th) and Endicott College (June 2nd & June 23rd), seating is general admission, so the seating category you select will only apply to your All-Star Game seating. To purchase a CANNONS COMBO PACK, please click HERE.